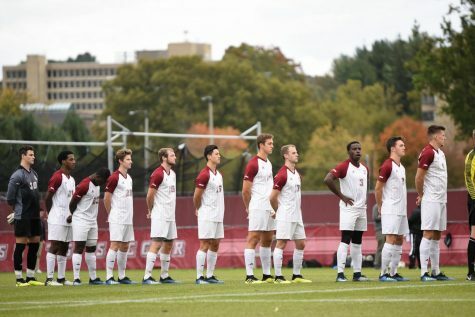 In the 78 years there has been a Massachusetts men’s soccer team, no Minutemen have ever made the watch list of collegiate soccer’s most prestigious award, the Hermann Trophy. 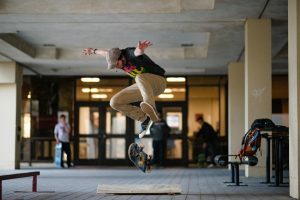 In year 79, UMass has its first representative on that elusive list, Ben Arikian. 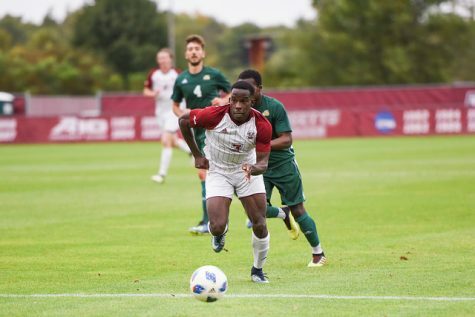 Following a season where he led the team in points with 15 (four goals, seven assists), the midfielder has the attention of the Atlantic 10, as well as the rest of the nation. Arikian was the only Minuteman to make the A-10 Preseason All-Conference Team after finishing the 2008 season as the Midfielder of the Year. 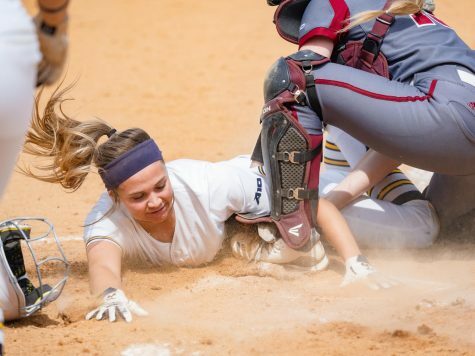 “It’s always good to get that stuff, but I’m more focused on working on my individual play to help my team,” said Arikian of receiving pre-season honors. Arikian’s all-around offensive ability has earned him much attention. He finished fourth in the A-10 for assists and was second on his team in goals. As much as his numbers stand out, they don’t begin to tell the story of what the junior means to UMass. Six of his 13 career assists were against the nation’s Top-20 teams. In the Minutemen’s two victories over then No. 10 Saint Louis, Arikian played a role in three of their four goals. 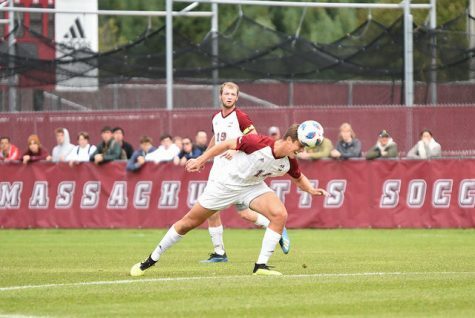 In UMass’ first match with the Billikens, Arikian had two assists to go with a golden goal two days later to beat Charlotte, which earned him NSCAA National Player of the Week honors. His high level of play didn’t begin last year, however. The New York native started 25 of 26 games his rookie season and finished with 10 points (two goals, six assists). 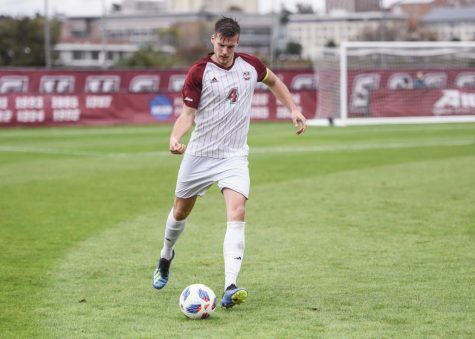 His quick adjustment earned him A-10 All-Rookie Team honors along with Soccer America All-Freshman Second-Team honors, and he still wasn’t done producing for UMass. 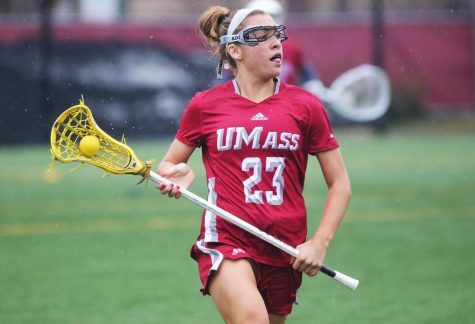 In the second round of the 2007 NCAA Tournament, Arikian set up the goal that tied top-seed Boston College on the way to giving UMass a historic upset win. 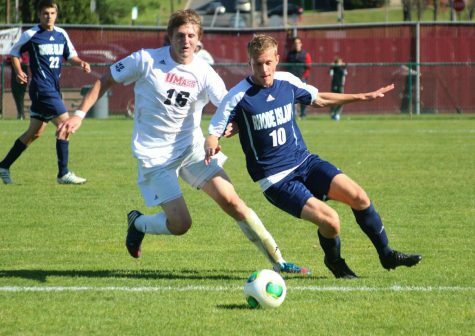 The Minutemen eventually advanced to their first NCAA Men’s College Cup in team history. Unlike many of the other Hermann candidates, Arikian is not much of a scorer. 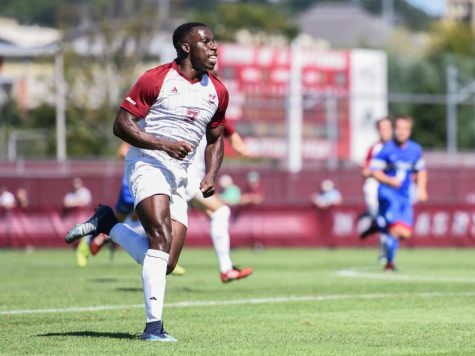 Not only is he not in the A-10’s top 10 in scoring, he wasn’t even the leading scorer for his own team (Prince Ofosu led UMass with five goals). 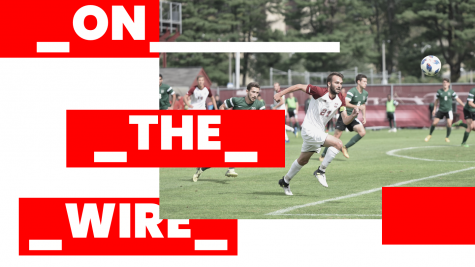 When the Minutemen need Arikian to be a scorer, he fills that role in comfortably, proving to be a timely scorer with three game-winning goals. With everything Arikian has done so far, Koch has raised his expectations of his central midfielder. Koch wants to see Arikian and senior Mark DeSantis become the leaders of the team because of how they lead by example. As far as Arikian is concerned, that fits in perfectly with how he sees his role on the Maroon and White. That leadership will be needed most in the midfield because of its depth. 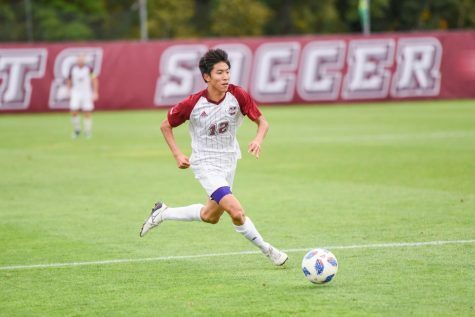 This year’s Minutemen feature 10 midfielders, including five newcomers (four freshmen, one transfer). 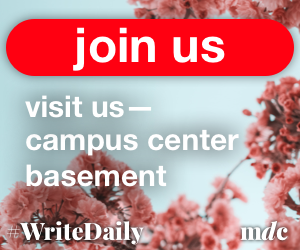 Arikian’s job as mentor will be relatively easy as the midfield remains mostly intact from last season, with Mike DeSantis being the only starter from his position to graduate. Despite having several new faces, the midfield has plenty of experience, and should take some of the load off Arikian.